Magnesite (MgCO3) is an ore for magnesium production and the source of a range of industrial minerals. 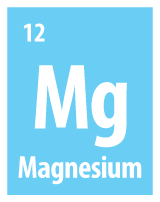 NSW has excellent boutique opportunities existing for the discovery of new magnesite deposits to be used to extract magnesium and for agricultural and specialist applications. There is a strong demand from local and international markets. There are about 68 occurrences of magnesite recorded in throughout NSW and await further exploration and development. Read about Magnesite [1.75 MB] mineralogy and prospectivity in NSW. The Thuddungra open pit magnesium mine near Young, in the South West Slopes Region of NSW, has been operating since 1935 and along with the nearby Lake Cargelligo magnesium mine. The mines are operated by Causmag International.